Can I Give My Dog Honeydew? | Can Dogs Eat Honeydew? Good or Bad Idea? I’m all for doggy friends eating people food! In fact, I believe that we should try and feed our dogs some homemade dog food. Most of the food that is safe for us may not be safe at all for our furry companions! In fact, did you know that onions, chocolates, tomatoes, etc. are actually toxic for dogs!? So, it is always a great thing to look things up before you go and feed them to your furry friend! In this blog, I’ll we’ll talk about honeydew and I’ll be answering the question, “Can dogs eat honeydew?”. Wondering why I’m asking you to avoid the seed? If you don’t know what the ASPCA stands for, then, you’re probably living under a rock. But, don’t worry! I’ll tell you. The American Society for the Prevention of Cruelty of Animals is a non-profit organization based in New York. As the name suggests, their main aim is to prevent animal cruelty. They keep a list of food items that are safe or unsafe for animals to eat. Let’s see what they think of the Honeydew melon! Well, according to the ASPCA website, the Honeydew Melon or the Casaba Melon is non-toxic for dogs! This means that you can feed your furry friend some of that yummy Honeydew Melon without worrying about it being toxic. Honeydew melon is a delicious treat and you can feed them to your doggy friend on a hot summer day! The melon is rich in micronutrients such as vitamins and potassium making it a really healthy treat. But, there are a few precautions that you need to follow before giving it to your furry companion. Well, the thing is that most fruit seeds are known to have trace amounts of toxins such as cyanide—which you know can prove to be deadly for humans and animals alike. I know that the chances of any sort of poisoning are low, but why risk it, right? After all, your doggy friend is the apple of your eye! Dogs are known to chomp down their food items. In fact, my dog doesn’t even chew his food properly and just swallows it whole—and that’s something that scares me because that can lead to choking! So, I would suggest that you chop the honeydew into small pieces so that they won’t cause a problem even if your dog swallows them as a whole. Trust me, you won’t have to worry much about your doggy after that! Honeydew, like all fruit, is rich in fiber. This means that your dog can get diarrhea after eating too much of it—and can get severely dehydrated! 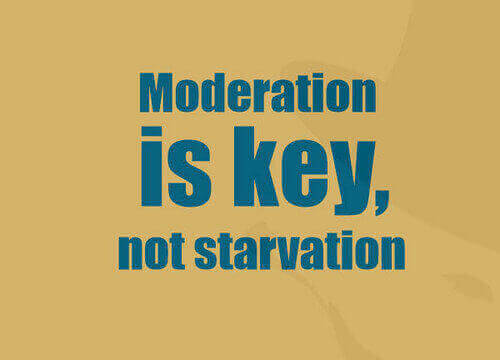 So, feed it moderately and you won’t have to worry about it much! Keep in mind that you should only feed honeydew to your doggy friend as a treat and don’t make a meal out of it! After all, an excess of everything is bad. Yes, it is true that dogs can eat honeydew. But, what about the little puppies!? Well, I have some good news for you! It is true that even puppies can eat honeydew and they are safe for them as well. If your puppy is old enough to eat solid food, then feeding some honeydew to the tiny ball of fur will do no harm. In fact, you can even mash some honeydew with a fork and feed it to the little guy! But, make sure to start with a small amount of it to avoid an upset stomach. Yes, dogs can eat honeydew! In fact, according to the ASPCA, honeydew is officially non-toxic for dogs. But, there are a few things that you need to keep in mind before you fill your dog’ bowl with that melon goodness. First of all, you should always feed it to your food in moderation or it may upset your pooch’s tummy. Secondly, make sure you take out the seeds as they can be harmful to your furry companion. Finally, cut the fruit into small pieces to avoid choking. I really hope that your furry friend enjoys the yummy taste of honeydew! I’ve answered another one of your queries! Head over to “Can dogs eat pork rib bones?” to know the answer! Please, do leave a comment if you have any questions.